Maria D. Noto is board certified as a criminal trial attorney by the New Jersey Supreme Court. Over the course of her career, she has tried over 200 cases with impressive success, including winning eight out of ten homicide trials. As a result, Ms. Noto has been named to New Jersey's Super Lawyers list every year since 2005 and has also been named one of New Jersey's Top 50 female Super Lawyers on more than one occasion. She has also been recognized by the Association of Trial Lawyers of America as one of the Top 100 trial lawyers in New Jersey and has received numerous other accolades. 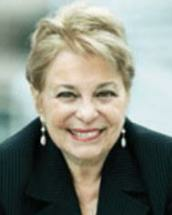 She is a past president of the New Jersey Association of Criminal Defense Lawyers. Prior to becoming an attorney, Maria Noto was a teacher for several years. She was able to take the skills she learned as a teacher and use them to "educate" the jury in order to convince them of her client's innocence. She attended Seton Hall Law School and, while she was in school, worked part-time as a law clerk for the Essex County Prosecutor's Office. That experience has proven to be an invaluable part of her career, as she has truly been able to see both sides of the criminal justice system. Ms. Noto started her legal career as a law clerk to the Honorable Thomas F. Shebell, Jr., who was then the Assignment Judge for Monmouth County. As Assignment Judge, Judge Shebell decided many civil and criminal motions filed by attorneys. Through this prestigious clerkship, Ms. Noto assisted the court in researching the law and writing Memoranda of Law and gained valuable experience and knowledge in both criminal and civil law. Upon completing her judicial clerkship, Ms. Noto started her career as a trial attorney with the Essex County Public Defender's Office in Newark, New Jersey. She began her career as a public defender with a string of victories, winning her first 9 cases in a row. In 1985, Maria went into private practice and was retained to represent one of 21 defendants in the longest federal trial in the history of New Jersey, U.S. v. Accetturo. After a two-year trial, all 21 defendants were found not guilty. That victory has been memorialized by Robert Rudolph in his book The Boys From New Jersey (How the Mob Beat the Feds) and the movie "Find Me guilty." Ms. Noto took to the experience of trying a case for two years with some of the best lawyers in the state of New Jersey, and she has since successfully resolved many federal cases. In addition to federal cases, Maria also represents people who are accused at both state and municipal levels of the New Jersey court system and has many satisfied clients from every level of the court system. Although her office is centrally located in Matawan, New Jersey, Maria handles cases throughout the state of New Jersey and on a pro hac vice basis in other states. Having grown up in the inner city of Brooklyn, New York, as the child of hardworking, but poor, immigrant parents, Maria has a strong work ethic coupled with empathy for the wrongly accused and for those who, perhaps, made a mistake or error in judgment and want to resolve it in the best possible way. Over the years, Ms. Noto has continued to spend about 75 percent of her time representing criminal defendants, but her trial skills are just as valuable in civil cases. Her firm, the Law Firm of Maria D. Noto, P.C., represents clients in a wide variety of civil areas, such as civil rights, personal injury and domestic violence. Whether it is federal court, state superior court or municipal court, Maria uses her superior legal ability and trial skills to get positive results and treats all of her clients with dignity and respect.